You might be surprised by the findings. A deeper reading of the research shows that the slide is not a given. In fact, some students actually improve over the summer, especially in reading. Maths seems to be one subject area where students may lose some knowledge. Summer reading list: Let your child make a list of books he or she would like to read. Visit a library, bookstore or school book fair. Make note of the subjects and types of books that interest your child. Tip: Summer is a time for fun reading. Comic books, activity books and those series based on a favourite cartoon or TV character might be more enticing than the classics. Just make sure your child gets involved in selecting books. Plan summer field trips: Field trips are always fun. Plan weekly outings that have some educational value. Think museums, historical sitesand plays or symphonies. Many cities have outdoor music, plays and cinema, so grab a snack and blanket and head out. Your child might be more excited about the experience if they are outdoors. And you might be surprised by the number (and subject matter) of museums across the country. Check out the Museums UK directory here. Pick a camp (or two):Summer camps and other programmes are some of the best ways to keep your child engaged in learning. 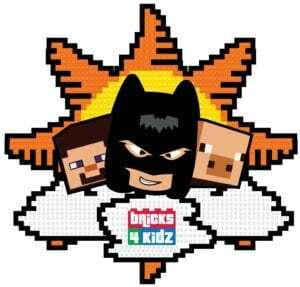 Bricks 4 Kidz®camps are a fun way for kids aged 5-12 to connect with other kids and get hands-on experience with cool STEM activities! Guided by our experienced DBS checked teachers and built around exciting themes, children will enjoy using LEGO®Bricks to build specially-designed models, play LEGO®games and explore the world of engineering and architecture. Find a club and the perfect match for your child here.